Dinner out with friends was once a relaxing experience. Holiday meals meant enjoying familiar comfort foods of years past. A glass of wine was an evening treat. For millions of people, the enjoyment of eating and drinking can change overnight. This is the reality that those living with dysphagia face. Simple foods and beverages they once enjoyed have become risks for aspiration and hospitalization—and sometimes even death. Lost is the social aspect of the meal; lost are favorite foods and drinks; lost is the lunch “break”…as eating becomes a chore. Faced with a choice between following a regular diet accompanied by the risk of aspiration or following a safer, modified diet comprised of thickened foods and beverages, many eventually resort to the latter. “Thickened” thus describes everything they consume. As with many situations in life, the safer route isn’t always the most appealing and can lead to dangerous lack of compliance. For years, starch has been used to thicken beverages for patients with dysphagia. Although it’s highly affordable and convenient, it often gives a lumpy, grainy texture to beverages. It clouds clear water—making even a simple glass of water unappealing. When unappetizing leads to un-consumed, the risk of malnutrition and dehydration rise. As noted in a Today’s Geriatric Medicine article by Sharyl Samargia, PhD, CCC-SLP, a survey by Garcia, Chambers and Molander (2005) showed that nearly one-half of survey participants indicated they strongly disliked thickened liquids[i]. What’s more, a separate study showed that 48 percent of survey respondents following a modified diet reported that eating was no longer an enjoyable experience[ii]. But there’s more to the numbers than simple aversion and lack of enjoyment—palatability is connected to compliance of a modified thickened diet. A study by Michael Crary and Giselle Carnaby showed that in the week after a stroke, those who were put on a modified diet of thickened liquids or pureed foods were more likely to become dehydrated than those who remained on a regular diet, according to MosaicScience.com. According to Dr. Samargia, dissatisfaction with and inaccessibility to thickened liquids often results in poor patient compliance, and more emphasis must be placed on improving compliance through continued efforts to make thickened liquids more palatable, accessible, and affordable for individuals with dysphagia. The notion that lack of palatability in thickened foods and beverages is contributing to noncompliance with modified diets, which can lead to dehydration and malnutrition—along with a natural human desire to give mealtime joy back to those with dysphagia—brings an urgency to create more palatable solutions. After years of studying dysphagia and thickening agents to create such an option, I developed a proprietary approach to working with xanthan gum, which resulted in the first-of-its-kind tasteless and colorless thickened water, then juice, then coffee and now, tea. The ability to deliver real water, real juice…real anything in a taste-accurate manner is now possible. Pre-thickened, ready-to-drink beverages are the most stable (the viscosity does not change over time) on the market and have the longest shelf-life available in the category. 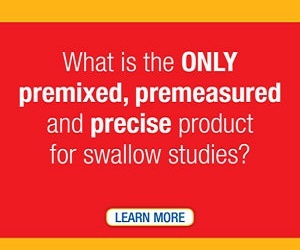 Their clear, clean flavor and texture makes them palatable and appealing to dysphagia patients. My most recent innovation involves additional work with xanthan gum, resulting in a xanthan powder thickener that supports the absorption of nutrients and medications—an improvement to xanthan powders currently available. This innovation allows for the greatest bioavailability of thickened medications and supplements possible, supporting patients’ health, quality of life and well-being. The bacteria Xanthamonus campesteris secretes a thickening agent called xanthan. Xanthan thickens liquids at a faster rate than a starch-based agent, and requires less product to do so. Even with changes in temperature or pH level, xanthan’s viscosity remains stable—creating the option to enjoy a glass of ice water, a Popsicle, or a hot cup of one’s favorite tea—safely. What’s more, xanthan can be frozen and thawed several times (not just once) without losing its viscosity. Xanthan also remains stable when it is mixed with amylase, or the enzyme present in saliva. In other words, xanthan is strong enough to withstand contact with amylase without breaking down. This lowers the risk of aspiration for the dysphagia patient. Because thickened water developed using this proprietary xanthan process is so clean, clear and smooth in both flavor and texture, it can be mixed into several flavored beverages and even broths. 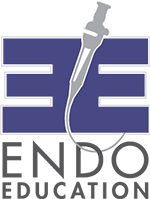 Its versatility provides enjoyable options for those with dysphagia. With the cultural and social significance placed on mealtime in the U.S., one’s quality of life can be greatly affected by a swallowing disorder. Innovation in the thickened beverage industry is crucial to improving quality of life—not to mention safety and well-being—for those with dysphagia. 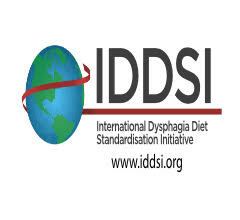 Additional diet information and recipe ideas can be found at dysphagia-diet.com. Xanthan as a thickening agent is not recommended for infants of any age. For more information, visit FDA.gov. Consult with your health care provider and ask about proper dosage, side effects and interactions before making dietary changes with xanthan. Doug Stetzer, Chief Scientist at Kent Precision Foods Group, has an extensive background in health care research and product development. He has worked in cancer therapy research, immunology and genetics, and cell biology, and he developed and patented the Thick-It® AquaCare H2O®, a line of ready-to-drink beverages pre-thickened with xanthan, as well as Thick-It Clear AdvantageTM, a new xanthan powder thickener that supports the absorption of medications and supplements. [i] Garcia J, Chambers E, Molander M. Thickened liquids: practice patterns of speech-language pathologists. American Journal of Speech-Language Pathology, 2005; 14:4-13. When thickening liquids, it is important to use a xantham gum-based thickener that was developed and tested for that purpose. There are several brands of gum-based thickener available on the market. Look for brands that say “Clear” on their label. The brands with which we are familiar include: SimplyThick, ThickenUp Clear, Thick & Easy Clear and ThickIt Clear Advantage. Xanthan gum-based thickeners are available for purchase on-line at the brand’s website, at Amazon.com and at local pharmacies. If your local pharmacy doesn’t stock a “Clear” thickener, ask the manager to bring it in for you. It may take some time to get it on the shelves but your request goes a long way towards making this important product available for others who need it.